We need to change the psyche and attitudes of people. 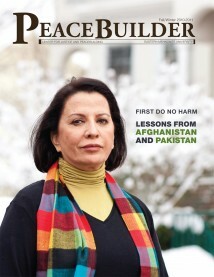 The 15 Pakistanis who responded to a January 2010 query from Peacebuilder magazine did not mince words: Conditions in their country are spiraling downward. Few Pakistani respondents showed the glimmers of optimism in the messages received from the 10 Afghan respondents, who seemed to feel that Afghanistan possibly would turn a corner in five years or so, maybe even emerging as a viable nation for the first time in decades. On the contrary, Pakistan’s fortunes seemed to be on the opposite end of the seesaw from Afghanistan’s. Yasmine Joseph, diocesan executive secretary of Caritas Pakistan Faisalabad, faces personal and professional chal- lenges in dealing with these burning issues in Pakistan: discrimination against women and against members of religious minorities, including Christians like Joseph; laws that uphold such discrimination; and extremists who feed on hatred. Pakistan has come under international pressure to stop harboring Islamic extremists, who are accustomed to flowing back and forth between Pakistan and Afghanistan, swimming freely in the tribal areas along the border. But official attempts at controlling these border areas have fueled the ire of Taliban and al-Qaeda fighters and led to brash attacks, both suicide and otherwise. It seems that nobody in Pakistan is feeling safe these days, faced with “grown-up men who believe that gun toting and blowing up barber shops is the ultimate service of God,” to quote one respondent. Another sent his wife and school-aged children to live safely in another country two years ago, while he has continued to do risky peacebuilding work along the border. “Unemployment is growing on an alarming scale. Industries and businesses are closing as a result of electricity shortages and there are non-stop increases in taxes and prices of food commodities, fuel, and utilities,” wrote James John, who attended EMU’s Summer Peacebuilding Institute (SPI) in 1998 and 2006. Though trained as a police officer to kill if necessary, Tipu disagreed that hope lies in slaughtering the terrorists. On the contrary, Tipu argued that the United States’ use of “coercive tools and drone attacks on the [extremist] targets in Pakistan” has been counterproductive. “[Obama’s] policy shift of initiating educational and social development schemes in the tribal areas and focusing on addressing the root causes of terrorism are recent steps in the right direction,” he added. The six female respondents tended to focus much of their energy on ending discrimination against women, especially enabling women to be educated, earn their own incomes, and not be forced into marriages. Two spoke of the continued practice of “honor killings,” such as occurred in the Balochistan district in 2008 when five women were beaten, shot and buried alive after three of them expressed a desire to choose their own husbands. Given that less than 2% of Pakistan’s population is Christian, the respondents to Peacebuilder’s questions were disproportionately Christian – 60%. Though all respondents expressed anxiety, the Christians carried a double burden of fear. As members of a religious minority group in Pakistan, they feel targeted for persecution in everyday life. They may walk into a barber shop or restaurant and see a sign that says, “Non-Muslims are not provided services.” In 2006, a Christian Pakistani stonemason was nearly beaten to death after he made the mistake of drinking water from a public facility using a glass chained to the facility. Local Muslims beat him for “polluting the glass.” Last August (2009), six Christians, including four women and a child, were killed when Muslim militants set fire to Christian houses in the town of Gojra, accusing the Christians of blasphemy, a crime under state law. For the Christian Pakistanis, then, promoting protection of “human rights” and “tolerance for diversity” was high on their list of priorities and hopes for their greater society. Policy shifts by the government and military. They appear to be moving away from using radical groups as proxy fighters and political pawns, which has backfired. Policymakers are showing awareness of the need to establish a stable and just society through such measures as appointing ministers who care about human rights and improving the legal system. 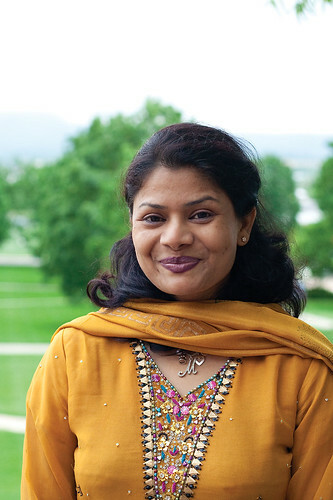 Yasmine Joseph, head of Caritas Pakistan Faisalbad, pointed to the November 2008 appointment of a Christian human rights activist, Shahbaz Bhatti, to the federal cabinet as minister for minorities. Bhatti has increased job opportunities for minorities and discussed changes in the blasphemy laws. Increased activism by members of civil society, informed by responsible media. “The independent electronic and print media, judiciary and vibrant civil society movements in Pakistan are raising awareness and highlighting issues of human rights, discrimination against minorities and women, corruption, and governance,” wrote James John. Cultural and educational exchanges that permit more Pakistanis to get to know people who are different from themselves. Four respondents recommended that such exchanges be stepped up, especially to enable traditional Islamic leaders to visit countries where they might gain an appreciation of different cultures. Re-discovering heros who advocated for peace and social equality, notably Muhammad Ali Jinnah, Pakistan’s founding father, who told the first constituent assembly on August 11, 1947: “We are starting in the days where there is no discrimination, no distinction between one community and another, no discrimination between one caste or creed and another… [W]e are all citizens and equal citizens of one state.” And Abdul Ghaffar Khan, a Pashtun man who was a friend of Gandhi’s, had over 100,000 followers (including an army of nonviolent warriors), and spent a total of three decades in prison for his beliefs during the 1900s. Khan told his followers that a Muslim never hurts anyone by word or deed but instead works for the benefit and happiness of God’s creatures.